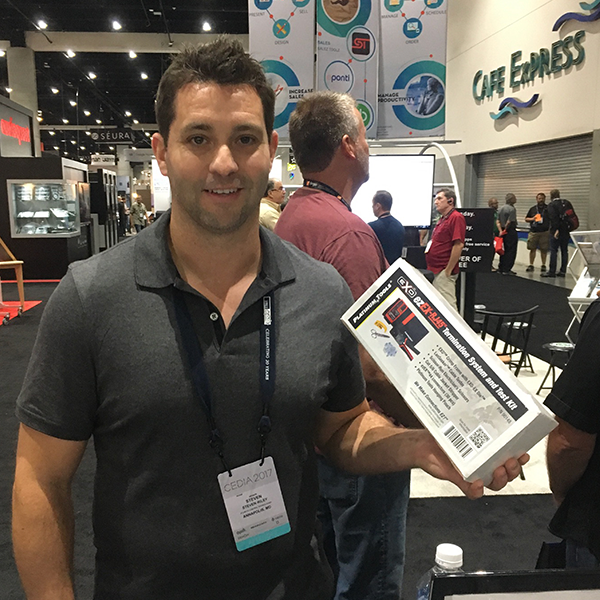 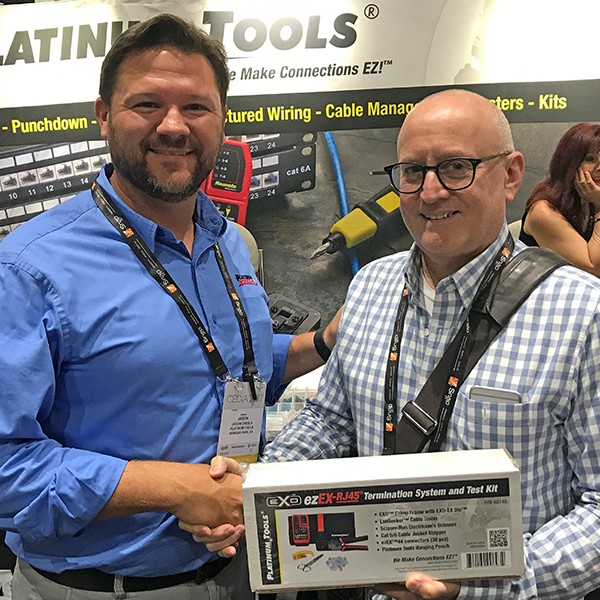 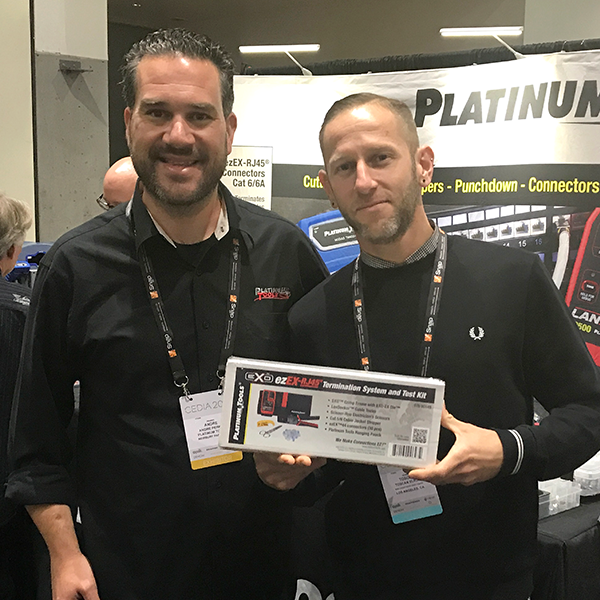 Platinum Tools is proud to announce the winners of three new EXO ezEX-RJ45® Termination & Test Kits during the 2017 CEDIA Show. 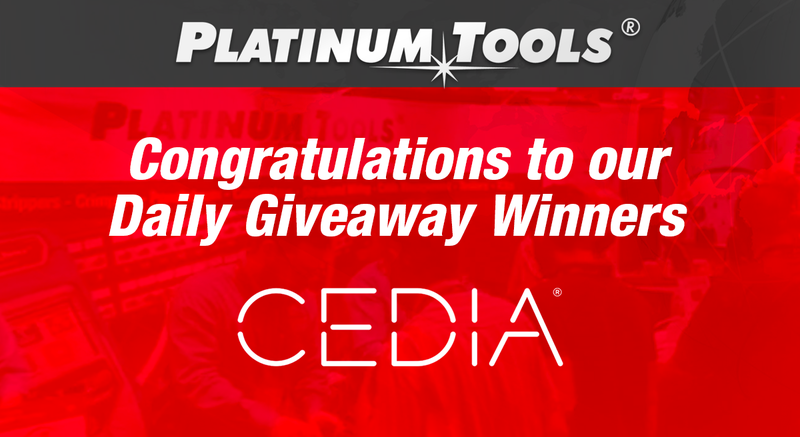 One winner was awarded each day of the show. 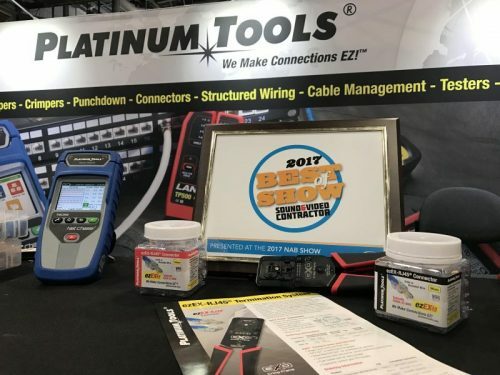 The winner of Sound & Video Contractor “2017 Best of Show”, Residential Systems “Best of Show” CEDIA 2016 award, and the 2017 BICSI Winter Conference Winner for Connectors and Connectorization, the ezEX-RJ45® Termination System with the new EXO Crimp Frame™ is shipping now.